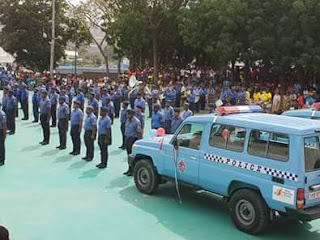 THERE is a complete lack of supervision and leadership within the Royal Papua New Guinea Constabulary and every personnel must practice leading roles within the establishment and taking into consideration the principles of discipline. This was made known to a discipline workshop recently by Northern Command Assistant Commissioner of Police (ACP) Peter Guinness. He told the course participants, mostly from the Lae Metropolitan and PPC Morobe Command that they must take some hard yards when it comes to leadership and management in their own sections or units in policing. “Most of your members are off target. You are not coordinating their performances and not managing policing affairs within. They are all over the place. We need to keep stock of their performances well,” he said. Guinness, who is also the Divisional Commander, said they are not looking after their subordinates in terms of supervision and daily affairs of policing in their respective areas of responsibilities. That is why they still continue to have discipline issues in their organization. Lae Metropolitan Commander Chief Superintendent Anthony Wagambie Jr thanked the Internal Affairs Directorate (IAD) for the leadership workshop as it is needed urgently in their workplace. He said there were many challenges they have gone through and one of the biggest challenges is discipline. It is high time they must all be well acquainted and content with what will be presented. He said the Commissioner has already identified 2016/17 as year of discipline but respective line managers and supervisors (non-commissioned officers) have failed to implement and therefore, they have their personnel with all sort of discipline issues.